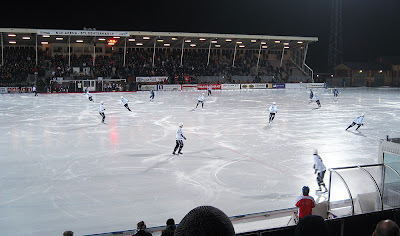 Last Friday evening we where at an local "bandy" game here in Uppsala. 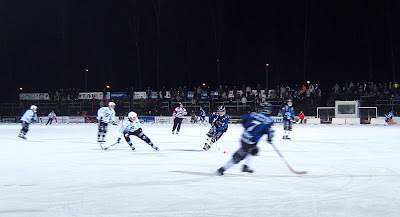 The local team Sirius was up against my home town team SAIK from Sandviken. On paper SAIK would run Sirius over hands down but that was not the case this time. "We" lost big time... Crap.